This seems to be the most controversial and provocative question one could possibly ask in relation to Sicily. I receive a regular stream of distressed or outraged comments from people who cannot bear it when I mention that Sicilian skin spans a range of many tones. They are always Americans with Sicilian grandparents or great grandparents, rather than people who live in Sicily. Some of them actually send me photos of Sicilians to “show me how white Sicilians are”. 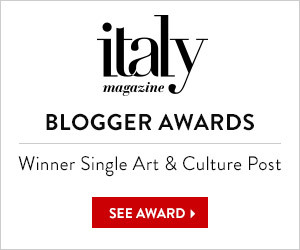 This is not necessary because I have lived in Sicily for eleven years. I see Sicilians wherever I go. I even see one in my bed every night. Explaining that Sicilians are white is like explaining that the Queen is posh. Why would you feel the need to mention it? I realised why, when a Sicilian-American friend told me recently about the staggering prejudice she had experienced growing up as an American with a Sicilian surname. My mouth literally hung open when she recounted what people had said and done to her. 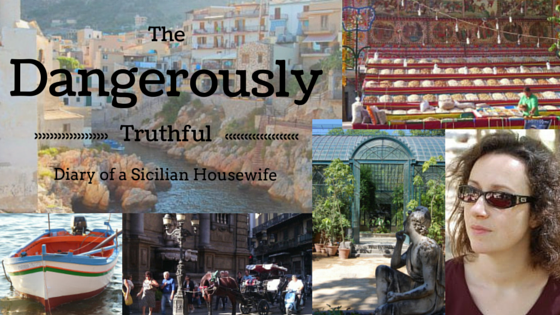 Here in Sicily, the people – obviously – don’t experience any of that nonsense. They have no reason to re-write the narrative of their own history or heritage. They are proud of every part of it. In Europe we consider all indigenous Europeans to be white people, but that doesn’t mean you can’t have a bit of something else in you too. We’ve been invaded so many times we probably all do. Early Sicily… prototype for a Benetton advertisement? What’s in the Sicilian gene pool? Three original tribes called Sicani, Elymians and Sicels. They were the first arrivals after Sicily rose up out of the sea, and ancient writers thought they originated from Spain, mainland Italy and Greece. Carthaginians (Carthage is now called Tunis). They were Phoenicians (from what is now Lebanon) mixed with a few North African Berbers. Jews, who were the only ones to migrate to Sicily instead of invading. Nobody knows exactly when they came but they were here before the Moors invaded. As you can see, the gene pool is quite varied. Firstly I want to say that connecting people’s DNA with geographic regions or races is in its infancy as a science, and has a certaintly level ranging from 50% to 80% – so it is speculative and far from certain. It’s still fun to look into it, though. The kiddo was a bit more exotic. For Hubby, we got 81% Italian, a lot of “broadly southern European” and a little “broadly northern European” (this means they cannot work out exactly where it comes from), a little bit of Spanish and a little more French and German, about 4.4% Middle Eastern and North African, and about 1% west (sub-Saharan) African. Why so much variety among Sicilians? There are plenty of national and ethnic groups in the list of invaders which did not make an appearance in my husband, but which might be heavily concentrated in other Sicilians. Based on Sicilian people who have told me their DNA, the variety is immense. Some had as much as 24% Middle Eastern DNA in their report. Some were 20% German. One was nearly a quarter Greek. I think this lack of homogeneity is because Sicilians have spent centuries marrying people from the same village. If a village or town was a Greek town 2,000 years ago, chances are it pretty much still is. If it was originally Moorish, it may still have a major spike in African and Middle Eastern DNA. One particular gene called a haplotype can tell you, if you’re male, who you father’s father’s father’s father was, going exclusively through the male line back to when you were only just human. Women can go back directly through the femal ancestry. In this male line, Hubby’s haplotype evolved 23,000 years ago in Eastern Africa and then one of his ancestors migrated, along with others of his tribe, into the Mediterranean region at some point. This haplotype is still most heavily concentrated in Eastern Africa around Ethiopia and Somalia, where almost 100% of the men carry it. The tantalising thing about genetics is that we can never know if this African male ancestor turned up in Sicily during the Moorish invasion in about 1,000 A.D., or 22,000 years earlier than that. So, what colour are Sicilians anyway? Let’s go back to those Sicilian Americans and the question of what Sicilians look like. The short answer is that there’s no such thing as a typical-looking Sicilian. There’s just far too much variety. You get tall ones, short ones, sturdy ones, dainty ones, very dark ones and very pale ones and even a few gingernuts. There’s one boy in my village with platinum hair and freckles, who looks Swedish. When Sicilians have a baby, the question on everyone’s lips is, what carnagione do they have? Carnagione means skin tone, and in Sicily, you never know what you’ll get. Dark like Nonna Pina? Blonde and green-eyed like Nonna Anna? Deep olive skin like uncle Danilo? I have a brother-in-law who is extremely dark but his son has platinum blonde hair and blue eyes. Meanwhile the photos I am sent from America always look like Sicilians in winter. Of course Sicilians are pale in winter. But what about summer? Most Sicilians spend as much of the summer as possible on the beach. I have never, ever seen a Sicilian buying or applying sunscreen; they just don’t need it. How dark they go is partly a result of their genes and mainly a direct measure of how much leisure time they get. Very white people get lots of pity and commiseration, whereas the dark ones attract slightly envious admiration. I’ve seen Hubby looking the same colour as me, and I’ve seen him after a lot of time on a yacht looking, I swear, as dark as an African. Except for his buttocks, which were so white they glowed in the dark. I expect his backside is his 2.5% German part. Feel free to say anything you like about this post but, if your comments are rude to me, or to anyone, or ranting, or designed to provoke, I will not publish them. Posted in Africa, History, Housewife, Immigration, Italy, Mediterranean, Sicily, TravelTagged africans, Sicilian DNA, sicilian genes, sicilians africans, sicilians white, What do Sicilians Look Like? Its wonderful to see that the post has not been removed as the previous two were. On the question of gene pools, race and phenotype, a rule of thumb to follow is. The closer a population is to the Arabized North Africa, the more that population has in common with these Arabized peoples. It’s always been so; a matter of geographic proximity, not foreign input .So Sicilians and indigenous Grenada Spaniads are very similar to their North African neighbors. As one goes north, in the case of Italy, to what was once the ‘other Sicily’, people would have a lot in common phenotypically with Greek Cypriots, Syrian -Lebanese and post Helenic types. North of these parameters, A distinctive Alpine /central European phenotype is usually discernible. Around Rome however one might well expect inputs to the gene pool from all over the regions that constituted the Roman Empire. I am proud to be half Sicilian, and enjoed this post emensily! I am half Sicilian, according to my dna test, from my father’s side. I agree with you about the variety of Sicilian coloring. My dad looked Arab (his parents came from the western side of the island from Campobello di Mazara) with olive skin and black hair, but his father had fair skin, blond hair and hazel eyes. His nickname growing up was “Tedescho”, the German. My dad looked like his mother, and I look like her, but my skin is fair. My dna covered every possible area all around the Mediterranean, so you never know what the next generation will look like as the genes make their own mix. My son looks exactly like my dad, but with ivory skin, and my daughter looks exactly like her paternal grandmother who was born in Rome. And even though my mother was a blend of Northern European (German, Irish, Scottish, etc.) None of us (my siblings nor my kids) look like that particular blend. You just never know. By-the-way, I was never hassled in my life about being Sicilian, except for the occasional Mafia remark, and I’m nearly 70 years old. I have always been proud of all my heritage. This doesn’t surprise me in the slightest as it’s still very common in Sicily to marry cousins, though finally dying out at least in the larger cities. I had a very dear friend who had dated the love of her life as a young girl, but had been separated from him as his mother forced him to marry one of his cousins. My friend said she might have been able to accept it a little if the girl had been pretty or clever, but she never passed an exam in her life and “looked like a mattress”. I also had the hilarious experience, when being admitted to hospital for the birth of my son, of being asked by a doctor if my husband was my first or second cousin. I laughed so hard I nearly fell off my trolley, till Hubby said his parents were cousins. That was the first I’d heard of it! This article is one of the only true and respectful threads I’ve seen written about Sicilians/Italian Americans. I’ve had identity issues a lot in my life about where I belonged, Looking for answers I found a lot of white supremacy forums basically obsessing on Sicilian dna makeup. I hate that I had to see that. Im 17 and because I’m a guy I can see both maternal and paternal lines on the 23andme kit I got for my birthday. Both my parents already did it. My dad is mostly British. My mom is 60% Italian and broadly Southern European, the rest is a mix of North African, Egyptian, Asian, and a bit Sub Saharan African. My mothers father is a dark skinned 100% Sicilian. He and I both tan very easily. He is dead sadly, so we can’t see his results, but my mothers brother also is a very tan Sicilian. Both my mothers parents were 100% Sicilian; and my grandparent’s parents came to America in the early 1900s right before they were born. I am not going to mention my fathers side of the family since I’m focusing on the Sicilian side. My grandmother and mother are not very tan at all, but my grandfather and uncle are. My family on my mothers side is so Sicilian it has relatives who’s surname is an actual crime family that does not operate anymore. Here’s my main frustration: Sicilians are always lumped in with Italians, and Italians are lumped in with northern Italians, and then lumped in with Europeans. In the state I live it is very politically extreme, White people are considered bad, even white kids say “I ****ing hate white people” and my problem was when I was called white. I was called white before and I didn’t care. Hell, I wanted to be whiter when I was a little kid. I envied my paler cousins. Italian culture is very similar to Hispanic and Black culture, like solid family values. I had long hair growing up and putting it in a pony tail was so thick you couldn’t even feel your other finger when you pinched it. My moms hair is super thin, and so is my dads. I don’t understand. People have actually asked if I was adopted once. I am constantly mistaken for being Latino or in rare cases, half black. My cousins are mostly whiter than me, they were jealous of me going outside for five minutes and getting more tan than they did all day. The only cousin that resembles my skin tone is part Native American and Mexican. And some distant cousins I rarely saw growing up. I just hate when Italians are generalized into one category when we’re a lot similar to Puerto Rican’s with having a massive gene pool. Hell, my Puerto Rican/Black girlfriend and I shared facial features. There are even ignorant articles on the Washington Post saying “Italians were always white” which just isn’t true. I understand the oldies deny having any black dna, but it’s a proven scientific fact that people blatantly ignore. People choose when to call me white and when to call me brown to make their argument that I’m racist or who was to blame for smoking weed. It pisses me off. I got a bad rep. Most my friends are Mexican, black, or middle eastern. I used to make off color jokes in the name of comedy and for the most part my friends defended me. There are plenty of documented lynchings of Italian Americans because they weren’t found guilty of crimes they didn’t commit. And people assumed a lot of innocent Italian men were gang members when they weren’t. Sound familiar? Our #1 slur is based on an African country just like the n word, “guinea”. And I’ve heard a lot of people throw that word around in a racial context acceptably. In reality Sicilians are a mixed race. Asian DNA is common, and North African/Egyptian DNA is almost always there, sometimes over 25%. we don’t get any validation for any of that. Dark skinned Sicilians had to write “black” on the census until the 40’s when the US declared middle eastern people and Italians to be “white”. Trying to find answers about my heritage led me to a lot of nasty comments about Sicilians. Hispanic/latino countries, all get social validation, middle eastern countries, yep. But who cares about Sicily, right? Literally if we spoke Spanish we’d be “non-white” In America everything is about race and I couldn’t avoid it. I’ve had a lot of identity issues and if anyone here has had the same issues I recommend sharing your story too. Too different from white people but not enough to be accepted as a minority. I felt stuck in between the lines my whole life, skimmed over and never seen. Thank god for the most part I’m accepted, it’s just the times a close friend assumes that I haven’t experienced racism or Italians in general never did. To clarify in my opinion northern Italians aren’t even Italian cus they hated Sicilians so much historically.